Carol's Corner: How Much Will You Pay for an E-book? How Much Will You Pay for an E-book? Now I know that authors who are traditionally published have no say on what price the e-book of their novels is sold at. Of course there will be price promotions where readers can buy the e-book for 99 pence for a limited time. Whereas with self-published e-books the price can vary, though I've heard £2.99 is the ideal price- maybe is is and maybe it isn't? Of course there's always a selection at 99 pence; but just because they're a low price that doesn't necessarily reflect badly on their quality. As writers we know the same amount of work has gone into the writing and production of the book whether it's on paper or a digital file. But as a reader, what price is too high for you to buy an e-book? 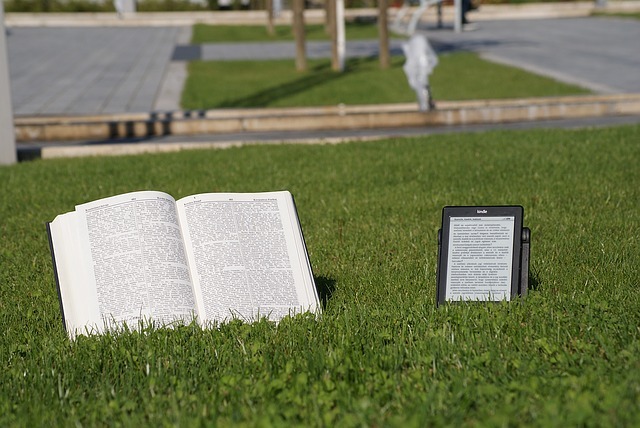 Unlike a print book, an e-book- a digital file (while it can last for as long as the technology exists to read it and is available) is more like a rental with no defined end date. Plus e-books prices include VAT. an online provider has closed a person's account for some reason, the reader will lose access to those e-books they've purchased. I recently saw a new release by one of my many favourite writers (a hybrid author). I wasn't sure if I'd enjoy the story having read the blurb, so downloaded the sample. At this point the price was still £3+. It may just be that I wasn't so intrigued that I just had to read more instantly. Perhaps the author has just lost their edge, that sparkle that would have once guaranteed an immediate buy. This time it was the price that made the difference between me saying okay I'll buy it- even if it seems not to be as good as previous novels. To saying no, it's not worth it at that price. I probably would have bought it at the £3+ price. There are a few e-books that I've bought at the £5+ range, but generally I'd opt for a paperback version, as sometimes it can be better value. I realised that for me, quality + price = value = buy. So a couple of questions to you as a reader, rather than a writer. Do you have a maximum price bar when buying e-books? Or does it depend upon the particular e-book, author or some other combination? Very interesting post, Carol. I read both e-books and paperbacks and the most I prefer to pay for an e-book is £2.99. Any higher and I'd rather have the paperback if I like the sound of it enough or if it's by a favourite author. Rosemary- thank you. It's interesting to see that balance between digital and print. I do think £2.99 is an ideal price for a novel. There is a sensory delight with older books that can't be replicated with digital. Sounds like you have a reasonable pricing strategy for your books too.